One of the worst things I have to do during the week is wake up early. I’ve always hated waking up early since the first day of high school. Like everyone else I had my routine in the morning, and the worst part was trying to get out of bed at 6:30 in the morning to get ready to go to school. I know I am not the only one like this. I used to wish high school started a few hours later and I always wonder if that would change my opinion about school. Trying to get through the first few periods of high school was impossible because I just thought about sleep the whole time. Recently I came to the question if I was actually awake for my first few classes, would my overall performance in school be better? My hypothesis would be if school starts a few hours later, then my overall performance in high school would have been better than when it starts at its original time. 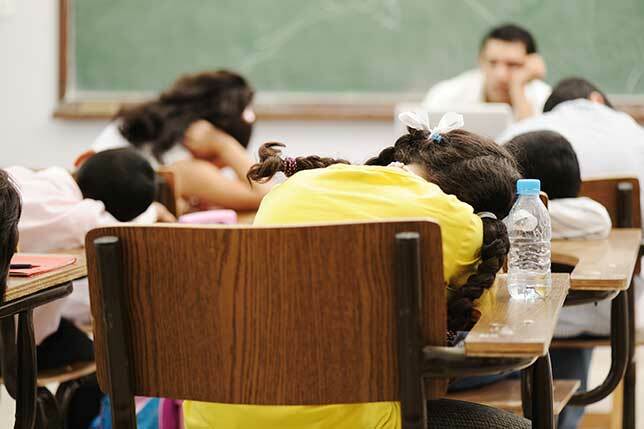 Those that believe school should start early say this because they believe teenagers go to sleep too late and because of this they do not get enough sleep to function properly in the morning. However, these people do not look at people’s circadian rhythm which I basically our 24-hour internal clock. According to the article Early School Start Times Hurt Students, Hinder Performance written by Dian Shaffhauser, she explains that around the age of 10 our biological wake time is about 6:30, meaning that school should start around 8 o’clock or so. Around the age of 16, the biological wake time is 8 o’clock, so school should start around 10. And at 18 years old the biological wake time is about 9 o’clock so classes should begin between 11 and 11:30. Dian Shaffhauser also writes that back in 1997, a school in Minneapolis shifted its high school start time from 7 to 8:40. With results collected from about 50,000 students from before and after the start time was change, they found that attendance, achievement, mood and behavior all improved. This means when they synchronized the start of school with the student’s biological clock improved their performance. Although today it’s hard to push back the start of high school times because of outside activities like sports, it’s something to think about possibly when scheduling classes for college. Another way to look at this is when people learn the best. There are different types called morning people, or larks, and evening people, called night owls. Larks tend to be up bright and early in the morning but only about 10% of people are truly larks according to Dr. Michael J Breus in the article Night Owls and Early Risers Have Different Brain Structures. Another reason it may be hard for some of us to get up for school or class is because we aren’t larks, we are night owls. Colleen Oakley in the article Why You’re an Early Bird or a Night Owl, states that when you have a slightly longer circadian rhythm then you are more likely to be a night owl and tend to sleep longer in the morning. So now I know that I am definitely a night owl since I have always loved sleeping in during the morning. Now that I am in college, I will continue to schedule my classes for later in the day if possible because it will have an effect on my overall performance. I do wish that back in high school the start time was somewhat later so I wasn’t asleep for the first few classes and based on these facts it could help out a lot more people than just myself. This entry was posted in Uncategorized on October 18, 2016 by Patrick Ryan. I found this article very intriguing, as I too found big trouble in waking up at 6:30 throughout four years of high school. For four years I dreamed of a world where classes didn’t start till later, that way I could sleep in on a daily basis. So when I got to college, I was going to schedule my classes later without a doubt. This semester I don’t have any classes that start before 10 AM, on the flip side however four out of five days a week my classes don’t end until 4:25. I find that I have I have trouble paying attention in the later classes now, similarly to the way I found trouble in early classes in high school. This is due to a school schedule for twelve years that ended at 2:30. Next semester I hope to find a balance of my classes schedule. Here is an article I found saying why taking an 8 AM may not be such a bad thing. I can completely relate to this post as I always dreaded waking up at 6:30 to get up for high school. I was always super tired and could not wait to come home after school and take a nap. Going in to college knowing my classes would not start until 10 I was so excited to finally be able to sleep in and not be tired in the morning. However, I was wrong. Every morning I wake up I find that I am still super tired and longing to go back to sleep. I still come back to my dorm after class and take a naps, just like in high school. So i wonder, does start time really make a difference if we are still being woken up by an alarm rather than naturally waking up? I agree wholeheartedly that school should start later. Multiple studies, including of course the ones you cited, have concluded that start school an hour or two later would be extremely beneficial to students and their brain function. Not to mention between homework and extracurricular activities, it’s becoming increasingly difficult for grade school or high school (or college!) students to go to bed at a reasonable time that will allow them to get the sleep that their brains so desperately need in this time of important growth.http://www.theatlantic.com/education/archive/2015/08/why-school-should-start-later/401489/ Here is another article if you’re interested in further reading on this topic. I find this post relatable because in high school I used to be able to wake up, get ready, and be out the door by 6:50. Now, I can barley get up ten minutes before I have to leave for my 8 am. I didn’t expect an 8 am to be as hard as it is to wake up for, considering how easily I woke up early for high school. Anyways, this blog post made me think of high school and college in general and I thought about how some seniors in high school don’t even make it to college because they just aren’t ready or prepared for that big of a transition. Not everyone leaves high school ready for college. So here is a link to the study I came across online on the effects of delayed enrollment into a college level education: http://sf.oxfordjournals.org/content/84/1/531.full.pdf+html I think this topic is very important for people to be aware of. Patrick, I thought this was a really great post and could be very helpful to a lot of people in improving their attentiveness and overall improvement in school. I too, have always been more of a “night owl” and have always hated waking up early to go to school. It is because of this that I made sure to schedule my classes later in college so I could stay up late while still getting sufficient sleep to be alert and attentive in my classes. I have felt a marked improvement in my ability to concentrate and my energy levels, however I had no idea that there could be a biological reason to my needing to sleep longer. I assumed that I was merely someone who liked to stay up late and therefore needed more sleep, but I did not know that this was in fact due to my circadian rhythm. I found this blog to be very eye opening and I will now continue to be sure to schedule classes relatively later in order to satisfy my own circadian rhythm.